← News on The Chain Lace Cowl! 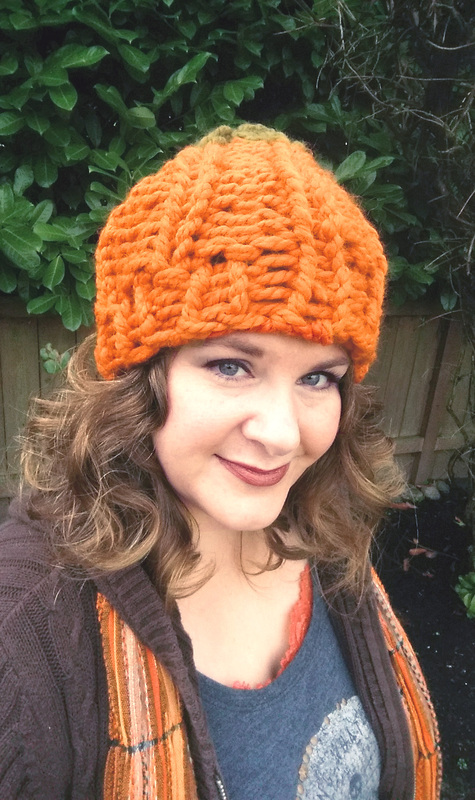 Because it’s a very large gauge, your projects knit up in record time, too! 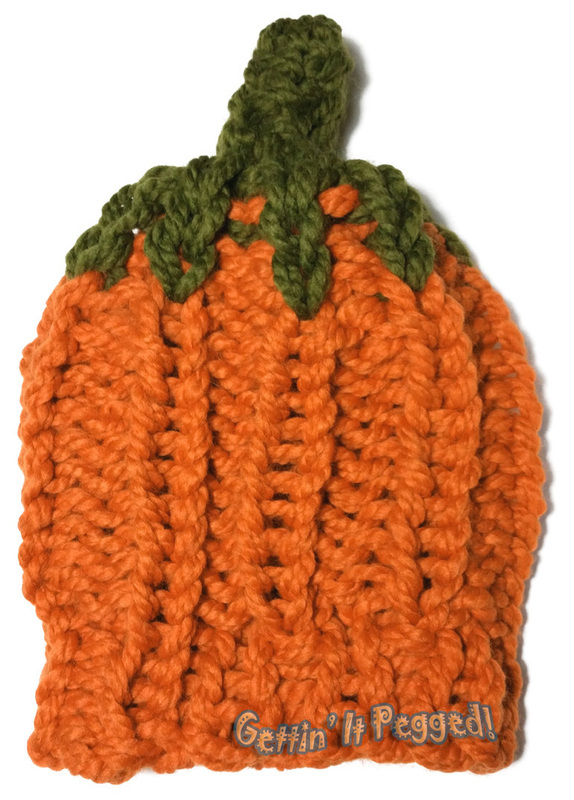 Size: 5.25″ x 3″ Easy to hold in one hand. ***Please Note! In my experience, as with any yarnie craft, the gauge you’ll end up with is determined by how snug your knitting tension is. I have done some projects where I have intentionally used a tighter tension, and have therefore needed more Zippys in a line. Please see my Pumpkin Placemats as a good example of this. Denise Layman has something fun here! 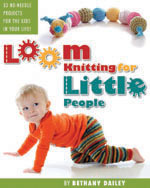 Knitting loom: 4 Zippy Looms with 4 Zippy Corners. Notions: loom tool, 6mm crochet hook (for cast on and help with possible missed stitches, etc), one peg marker to mark first peg (can be tied scrap yarn or rubber band), scissors, yarn needle, row counter. Gauge: 4 stitches and 8 rows per 4”. Circumference: 20” (but stretches quite far beyond this). Length: 9.5″ without stem, stem adds 2″. Skills Needed: Knit, Purl, Half Hitch CO (shown in video), Knit 2 Together, Chain CO and Basic BO. 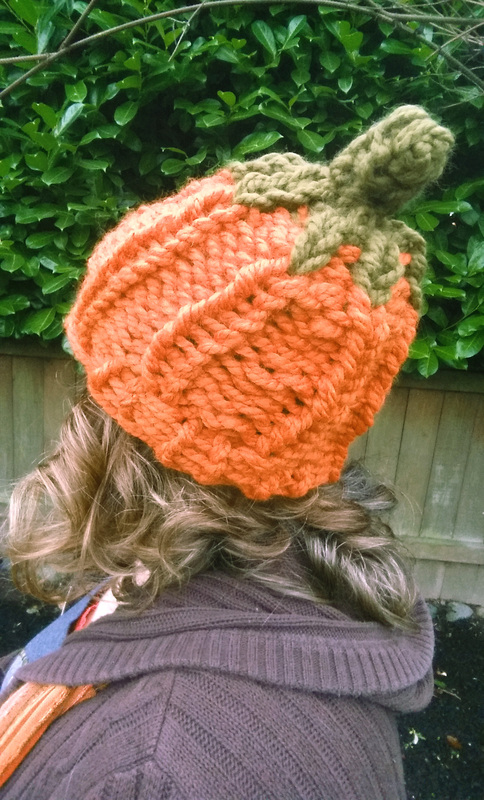 Entire pattern is worked with 2 strands of yarn held as 1. This project is worked so that it will be turned inside out at the end of the pattern and this will be the new outside of the hat. 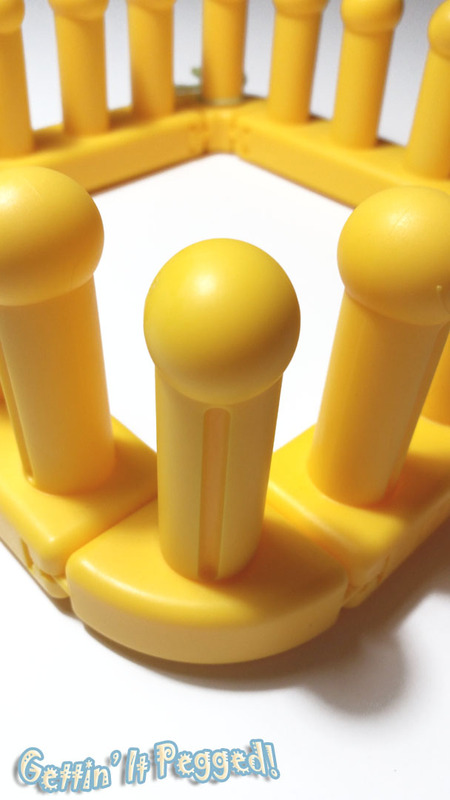 Set looms to 20 pegs in the round. CO to all pegs, beginning on a corner peg to use as peg one. Peg 1: pull WY through loop as if to purl a st, but instead, twist the newly created loop in the direction of a HH (so that the WY comes from under the twist) and place this loop temporarily onto peg 20. Knit the st on peg 1. Move the HH back to peg 1. These 2 loops will count as 2 knits in st pattern. 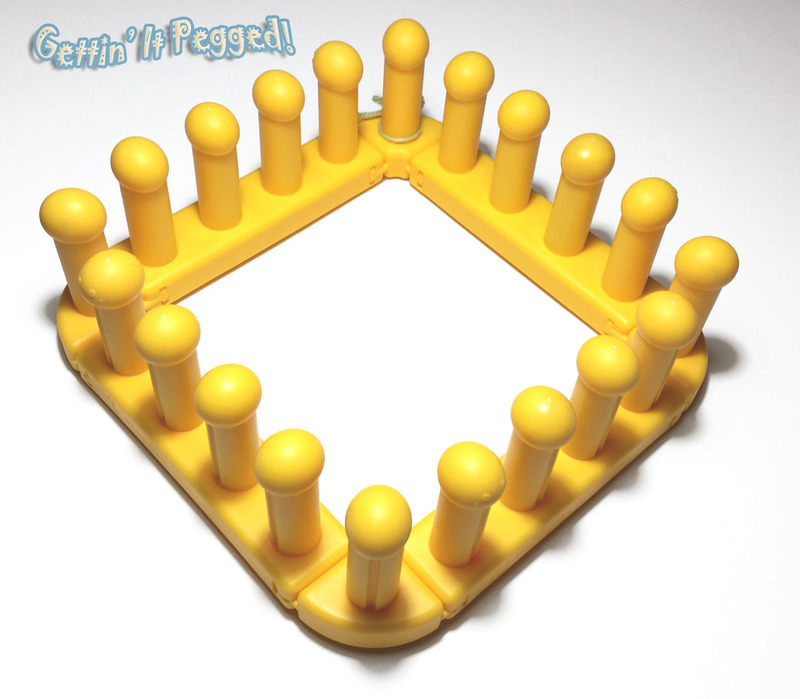 Pegs 6-20: repeat the instructions for pegs 1-5 until end of row. Round 15: *K2tog (KO both loops on corner pegs as one), p, k, k, p, rep from * to end of round. Rounds 18-20: Cut orange yarn. Continue working in pattern, but use only green for all sts. Wrap WY 1.5 times around the loom and cut. Thread through all knit sts in the round, release them from their pegs, and pull snugly. Place a piece of scrap yarn or a removable stitch marker at this point in the BO. Thread through all purl sts in a second round, release them from their pegs, but don’t pull them yet! At the place where your marker is, pull the first BO round as tight as it will go, then pull the 2nd round snugly at the tail end. Knot in place. Turn the work inside out. This is the new outside of the hat. CO to only 5 pegs of your loom to work as a panel. Rows 1-5: K all pegs snugly. BBO all sts, leaving enough tail to seam stem closed and to stitch it onto the top of the hat. 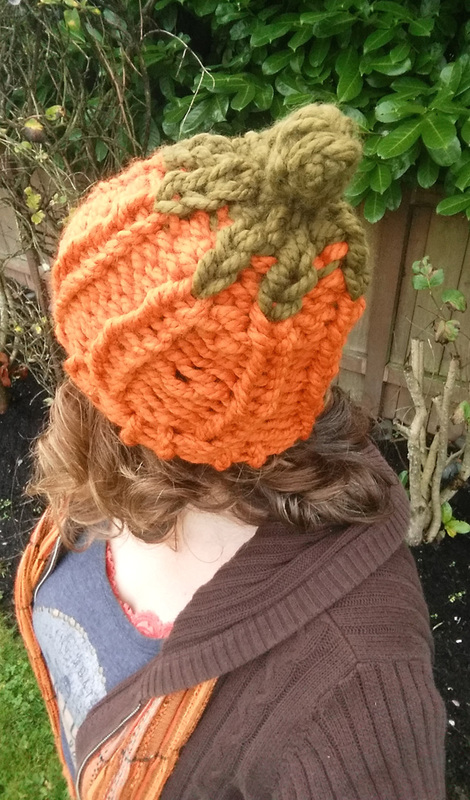 Pull all ends to the inside of the hat and weave in. Download this pattern in PDF Format! This entry was posted in Free Loom Patterns, Holidays, Just Because, Knitting, Loom Alongs, Loom Knitting, Looming Patterns, Looms, New Projects, Product Review, Tutorials and tagged Authentic Knitting Board, Autumn, Bethany A Dailey, Bethany Dailey, Big Knits, Fall, Free Loom Knitting Patterns, Gettin' It Pegged!, gettinitpegged, KB Looms, loom knitting, New Product, Product Review, Pumpkin Hat, Pumpkins, Slouchy, Zippy Corners, Zippy Loom. Bookmark the permalink. This is so darling, Bethany!